An aerobatic lightplane, the Pup was built by Beagle Aircraft in England at Shoreham Airport and Rearsby Aerodrome. The Pup was designed as a single-engined all-metal two-seat aerobatic aircraft or a four-seat touring aircraft. The prototype Pup (a Series 1 G-AVDF) first flew from Shoreham Airport on 8 April 1967. Production of the Pup-100 began in February 1968. The Pup-100 model carries two seats and two optional children’s seats. It's powered by a 100 hp Rolls-Royce/Continental O-200-A four cylinder engine. 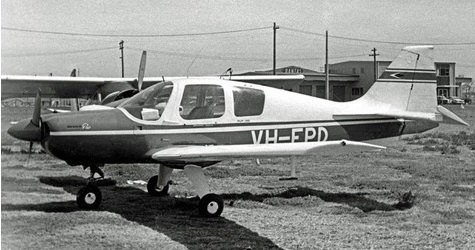 The more powerful Pup 150, with seating for an extra adult, was flown in October 1967. 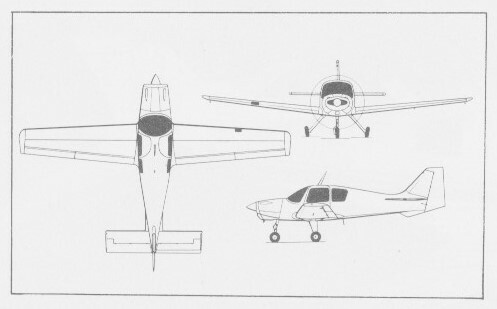 The second (G-AVLM) and third (G-AVLN) aircraft were Series 2 aircraft fitted with an enlarged rudder which became standard on all production aircraft. The Pup-150 fuselage is only three inches longer than the Pup-100 while wingspan dimensions of the low-wing tricycle gear airplane remain the same. A 150 hp Lycoming O-320-A2B engine allows optional seating for four. The Pup-150 also offered a larger 34-Imperial-gallon fuel tank as opposed to the standard 24-Imperial-gallon tank installed as standard equipment in the 100 and 150 models. A large rudder on the 150 allows full aerobatics including unlimited spinning. The first delivery (a Series 1) was to the Shoreham Flying School on 12 April 1968. 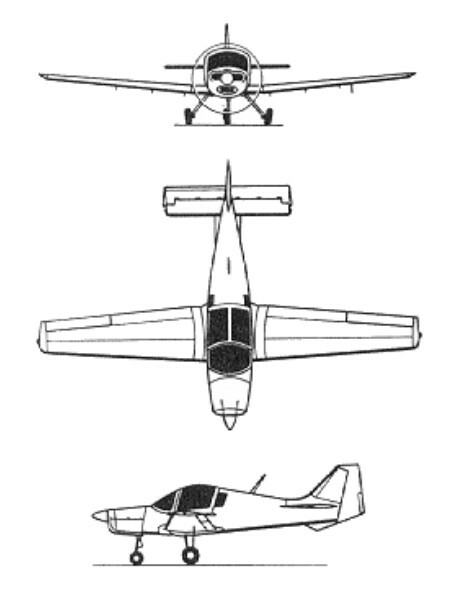 A Series 3 variant, a four-seater, was developed for the Iranian Civil Air Training Organisation. G-AVLM was converted during 1968 to become the series 3 prototype aircraft with a further enlarged rudder. By 1969 production had increased at Shoreham to one Pup a day, aircraft were flown to either Rearsby Aerodrome or Cambridge Airport for painting and finishing. One aircraft was evaluated by the Royal New Zealand Air Force in 1969, but was not ordered. Deliveries were made to civilian operators in several countries including Australia, Sweden and Switzerland. The Pup-160 was powered with a 119kW Lycoming O-320-D2C engine. The Pup was more spacious than its direct competitors and was a more complex design to manufacture and was also corrosion proofed throughout (usually then only an option on US-built competitors). For these reasons it was correspondingly more expensive to build, yet was sold at a competitive price. Its maintenance requires more care (i.e. expense) and its early days were troubled by issues with the doors and spares availability. A total of 128 Pups had been delivered by the close of 1969, when 267 aircraft were on order. In December 1969 the government withdrew financial support for Beagle and the company was placed in receivership. Production ceased with the 152nd aircraft. Some remaining nearly completed aircraft were finished at a variety of locations, the last being completed G-BCGV (s/n B121-176) was first registered 17 June 1974. The Pup was developed into the Bulldog by Beagle, then Scottish Aviation. A military version of the Pup was developed after being assessed by Rolls Royce Test Pilot Graham Andrews, who made 12 recommendations including its adaptation to a twin seated aircraft suitable for training purposes. The aircraft evolved into the Beagle B.125 Bulldog. Take-off distance, 50 ft: 1350 ft. Landing distance, 50 ft: 1430 ft.